There is a serious flaw in the internal logic of NATO's expansion that makes the bloc's growth almost perpetual, American political analyst Gordon M. Hahn writes. Following the collapse of the Soviet Union and the Warsaw Pact, NATO continued it swift expansion towards Russia's borders, swallowing one by one the former allies and partners of the dismantled Soviet bloc. 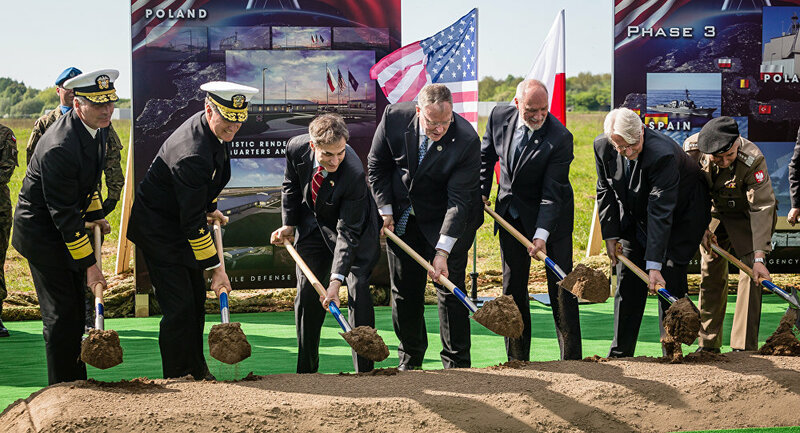 This month the Pentagon officially inaugurated the US Aegis Ashore missile defense systems in Romania and kicked off a similar project in Poland; meanwhile, NATO and Montenegro have recently signed an accession protocol. It is expected that by 2017, the Pentagon will deploy an airborne brigade, a Stryker armored personnel carrier brigade, and a rotational armored brigade to support NATO forces in Europe. It seems illogical that the Alliance is beefing up its military presence in Central and Eastern Europe despite the fact that its longstanding adversary, the USSR, no longer exists. However, NATO's eternal expansion has its own peculiar logic. "In his The Grand Chessboard, Zbigniew Brzezinski revealed the internal logic of eternal NATO expansion. Brzezinski proposed a strategy of gradual, simultaneous, and 'integrally connected' processes of EU and NATO expansion with no defined limits… The geostrategic logic was to build 'the critical core of Europe's security running' from France (actually the US) in the West through Ukraine in the East, thereby ending at Russia's border," Gordon M. Hahn, Analyst and Advisory Board Member at the Geostrategic Forecasting Corporation, a Chicago-based think-tank, writes in his blog. NATO views every country that lies in the way of the bloc as a new "geopolitically most exposed sector" that "must not be demonstratively excluded" from the Alliance. There is only one problem: Russia does not pose any threat to NATO. This means that such a menace should be created: the Pentagon officials, thought leaders and influential US think tanks have unleashed an all-out propaganda campaign, portraying the Russian Federation as a threat to Europe and NATO. The RAND Corporation even went so far as to claim that Russia may overrun NATO's Baltic footholds within just 60 hours. "I watched NATO move ever closer to Russia's borders on land, in the air and in the sea and it is all being presented in the United States as Russia's provocation. One military guy even said: 'Putin is moving his troops closer to NATO'… NATO is moving closer to Russia, Russia doesn't move. It is where it is. It's NATO that has been on the move ever since the 1990s," Stephen F. Cohen, professor emeritus of Russian studies at New York University and Princeton University, noted in one of his interviews on The John Batchelor Show, warning that such NATO moves can only stir memories of the Nazi German invasion in 1941 in the minds of Russians. Apparently, however, NATO officials are deliberately provoking Russia into overreacting with its muscle-flexing and saber-rattling near Russia's borders. In its turn, the bloc regards every Russian attempt to ensure the security of its borders as an "aggressive" posture. 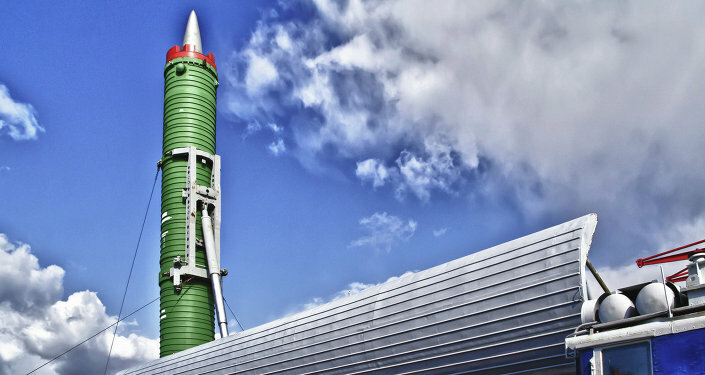 Hahn cites American diplomat Adam Ereli, who characterized a Russian-Armenian air defense agreement following Turkey's irresponsible shooting down of a Russian Su-24 bomber as "a growing Russian military buildup" aimed against NATO. "The growing Russian military presence in Armenia is but the latest indicator of a worrisome trend: Putin's threat to NATO and America's interests in Europe," Ereli wrote in his February op-ed for Forbes. "In this way and others, NATO is its own self-realizing prophecy and manufacturer of the 'growing Russian threat.' The first imagined threat is now becoming more a real, repeatedly manufactured threat — or at least intensifying perception thereof — driven by NATO expansion," Hahn writes. It seems there is no end to NATO's expansionist logic, as each round prompts another, the US scholar emphasizes. 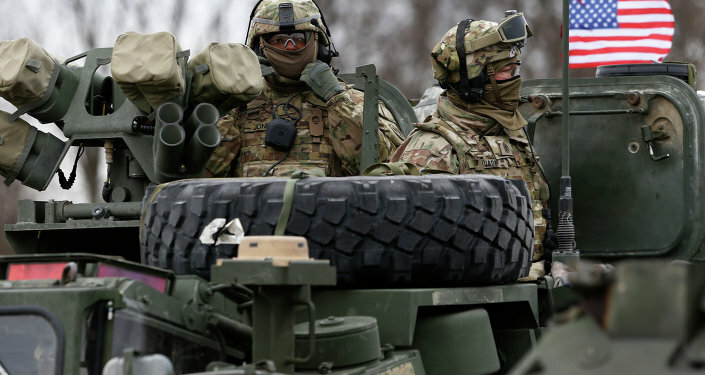 "NATO expansion's end to Russia's border can come by way of four paths: Russia's membership in NATO, the collapse and breakup of the Russian state, the dissolution of NATO or a NATO-Russian war… Take your pick," he concludes.